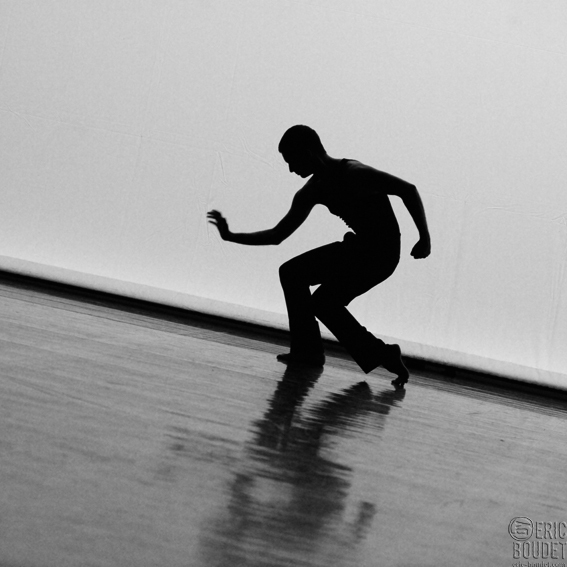 Bokaer was born to Tunisian and American parents, and has been active as a choreographer since 2002. He has created over 55 works in a wide range of mediums, such as film, opera, applications, and installation, in a variety of venues, ranging from stages, to museums and galleries. He works internationally, exhibiting and touring worldwide. In 2015 he is recipient of the John Simon Guggenheim Memorial Fellowship for Choreography, United States Artists Fellowship in dance. 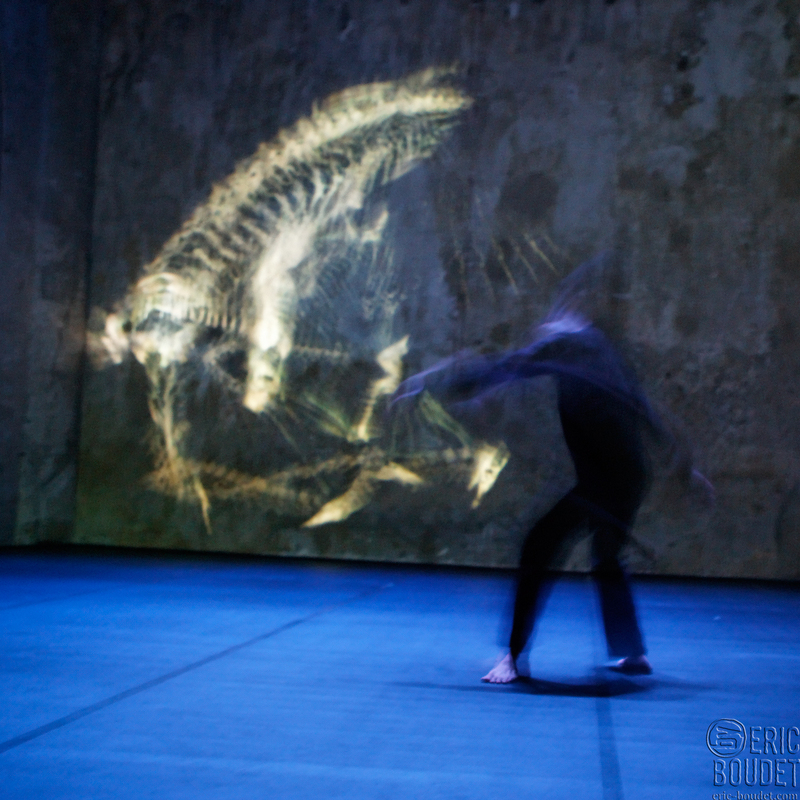 Bokaer has created 57 works using different mediums such as video, dance, installations and app. 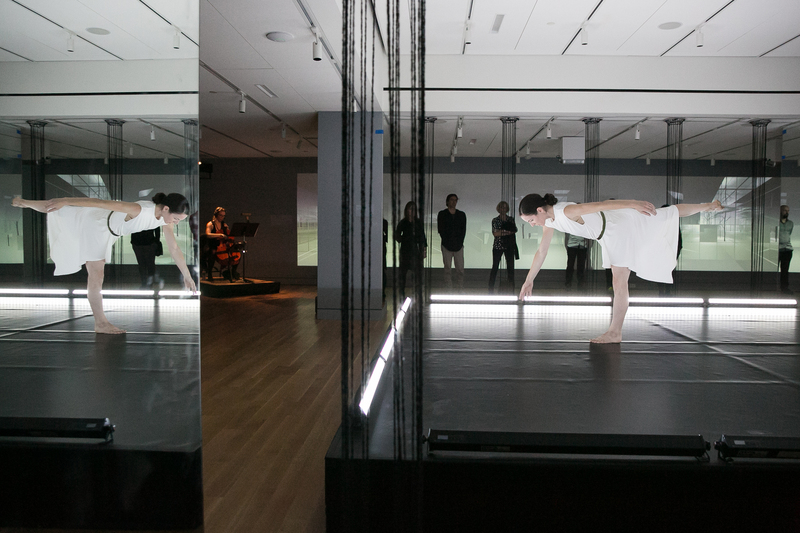 His work was presented in within museum spaces that live between choreography, visual art, and moving images. Recent production have been presented at the Jacob’s Pillow Dance Festival, at the Festival d’Avignon, at the Theatre de la Cité Internationale “New Settings” in Paris (Thanks to the support of the Fondation Hermès at the BAM – Brooklyn Academy of Music during the Next Wave Festival at the occasion of the inauguration of the BAM Fisher, at the Festival di Spoleto in Italie and have toured in Germany, Belgium, Canada, Cuba, Croatia, Denmark, Spain, France, Greece, Hungary, India, Italy, Luxembourg, Netherlands, Poland, UK, Switzerland, Thailand, Tunisia, and the United States. 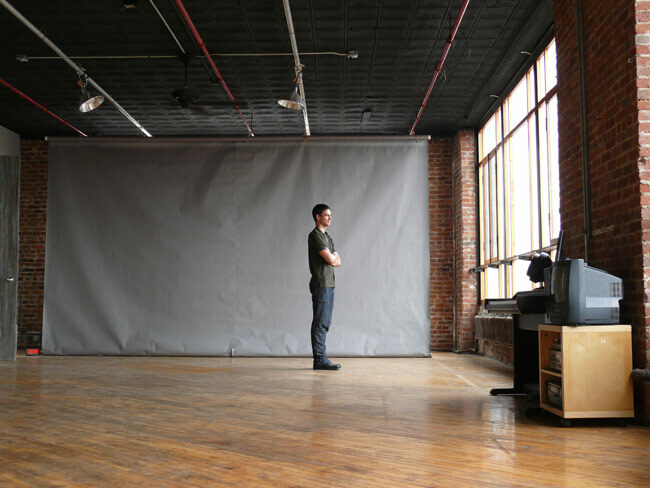 In 2008, Jonah Bokaer was the first artist to be rewarded “Young Leader” in Dance by the French American Friends Foundation for « Chez Bushwick », and the « CPR – Center for Performance Research » two non profit organizations he has founded and co-founded in New York. A few of Bokaer’s frequent collaborators are Daniel Arsham (2007-Present), Anne Carson, Richard Chai, Merce Cunningham, Anthony McCall, Abbott Miller, Tino Sehgal, Robert Wilson (2007-Present), along with other leading innovators in mediums such as performance, visual art, literature, and design. 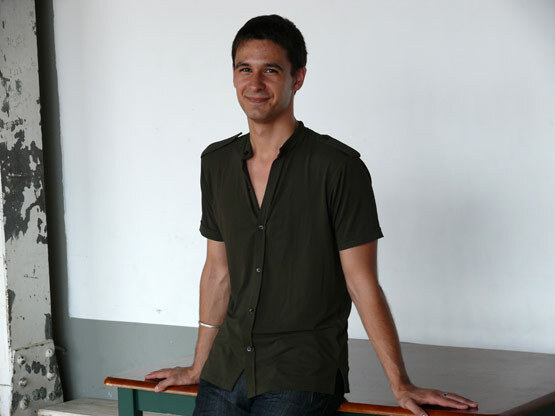 Recent awards include the John Simon Guggenheim Memorial Fellowship in Choreography (USA 2015), the Prix Nouveau Talent Chorégraphie (Paris 2011), the Jerome Robbins Special Prize Fellowship in Choreography from the Bogliasco Foundation (Italy, 2011), and Fellowships from the National Endowment for the Arts (2014, 2013, 2012, 2011), and from the United States Artists (2015). Do you see yourself as a Figure of the Dance ? Jonah Bokaer : I see myself as a Choreographer, with an expanded practice that allows for many ways of composing a dance, and allowing dance to exist in a large cultural framework. The areas that I am involved in dance are as a Performer, a Choreographer, an Animator, an Author, and an Entrepreneur. Recently I have also done some work in fashion as well. It’s possible that I am seen as a Figure of Dance, but from my perspective, I just work very hard, and enjoy finding new ways of working. Jonah Bokaer : The aesthetic that I work with is abstract, architectural, and very visual – but the public emerges from my productions having had an emotional experience. Using abstraction to expand the possibilities for dance and choreography is the way that I work. I also work with visual artists to create a space, set, or decor for each production – not a set designer, but a visual artist – which means that each production often has a visual style of its own. It has also been an honor to collaborate with some designers in recent years such as Narciso Rodriguez, Isaac Mizrahi, Daniel Arsham, Guillaume Boulez, and others whose work in Fashion and Style has had an impact on my choreographic thinking. What led you to Dance and Choreography ? Jonah Bokaer : Merce Cunningham influenced me primarily in terms of dance training. His classes were so strengthening, and training with him twice per week was instrumental to my formation as a performer. I do not believe that Cunningham influenced my choreography thought: for one, he composed almost purely by chance, and often in isolation. In my practice, I tend to work with conscious constructions, and always in a method of co-creation with other disciplines (recently, a biotechnologist, an entrepreneur, and design firm). I believe that Cunningham’s use of motion capture for the stage design of BIPED (1999) did lead to inspiration, and an impact on my thinking about the relationships between dance and technology. Shortly afterwards, dancing in that production was also formative – but I believe that dancers in the Cunningham company do not necessarily have any contact or experience with the technology he used. My own explorations into 3D animation evolved elsewhere, and bridged into other digital tools beyond dance. When did you first contact the Dance ? Jonah Bokaer : My family of performers, artists, and filmmakers is really where I first encountered theatre, dance, film, and performance. My father was a filmmaker, originally born in Tunisia, and my mother was a theater director of Welsh/Scottish background, who grew up largely in Ohio, the United States. My parents met in Los Angeles, and I was born in Ithaca, NY. There are 6 siblings in my family, and as a young child, I began to stage the four brothers in the living room and backyard, creating dances, patterns, choreography, and productions. Way back then, it was always involving pop songs or videos. I then went to begin dance classes, at local schools, and also at Cornell University – and then began training substantially in ballet and contemporary dance. At the age of 15, I left my home in Ithaca in order to pursue training fulltime at a conservatory, and by age 18, was hired by Merce Cunningham to join his company. What are the meetings or policy role that made you move forward ? 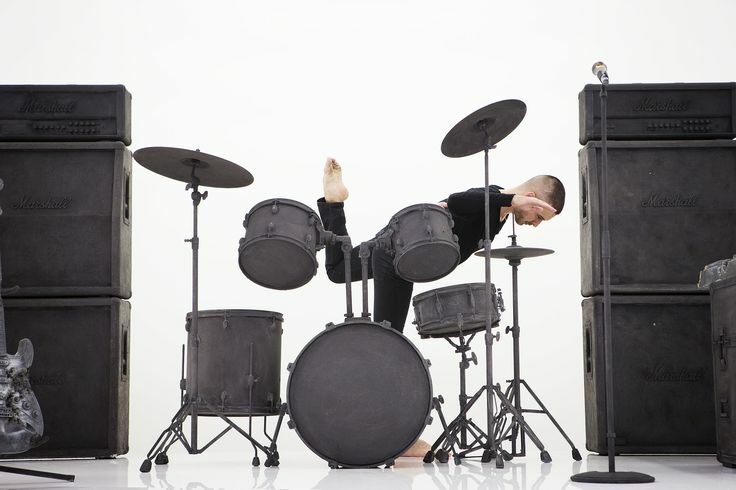 Jonah Bokaer : In 2005, I participated in a residency at Stanford University’s Laboratory for Motion & Gait Analysis, during which time I was used as a subject of motion capture to study “bio-mechanical rebellion” in Merce Cunningham’s choreography. Towards the end I started improvising: it had been a long day and my muscles were firing differently than usual. I started using the wall as a balance point, or partner, and saw ways that my body could improve its performance in other extremes of movement—through relying on architecture. I explored jumping with radical shifts in my torso; some of the sensors actually flew off. There was a certain balance that I hit, and I was able to rest there for what seemed like a long amount of time. In my mind I think I said something like “HERE.” To me, this and other moments in that lab felt like a peak of experiencing movement. I hope I haven’t peaked yet, but that day was informative for my technique as a mover—and I’m convinced that’s due to live visualization. Once I was hooked up to the motion capture system, I had the opportunity to view the datapoints onscreen, the movement of my breath was visible. Watching closer, micro-shifts in weight in my feet and lower legs were also visible. Even now, this impacts how I imagine my body, my breath, and the way I balance weight on my feet. What is your vision of dance these days ? 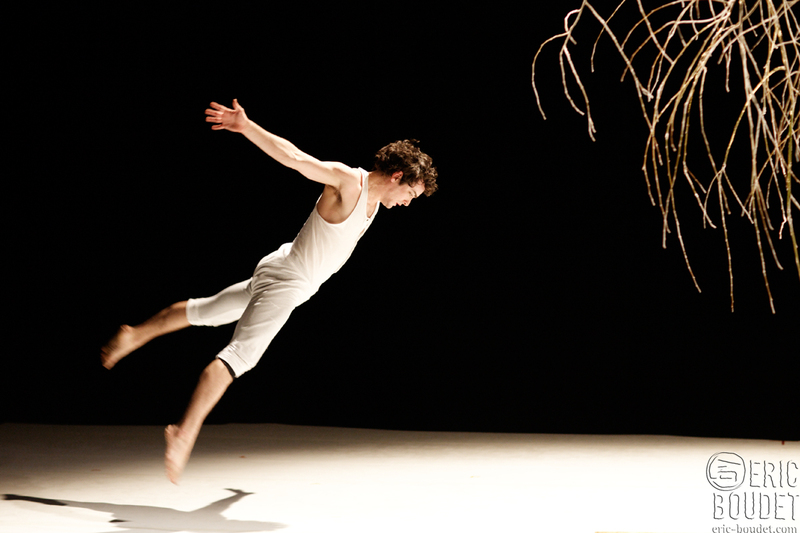 Jonah Bokaer : I always work in collaboration between dance and visual arts, to create new visual and movement forms. My vision for dance operates in what I call an “expanded practice,” meaning that dance can expand beyond its traditional histories of creation, composition, or distribution. Working with new technologies for dance is also an inspiration of mine. Basically, taking dance into a broader field of cultural circulation, and working with new aesthetic signatures is where my vision is right now. The use of motion capture for dance, and for artistic purposes, or for documentation, is right at the front of my interest and practice. By working with motion capture, I can pre-visualize movement and actually explore. In 2007 I created a work called A Cure For Surveillance, in which I introduced a missing figure in a duet. 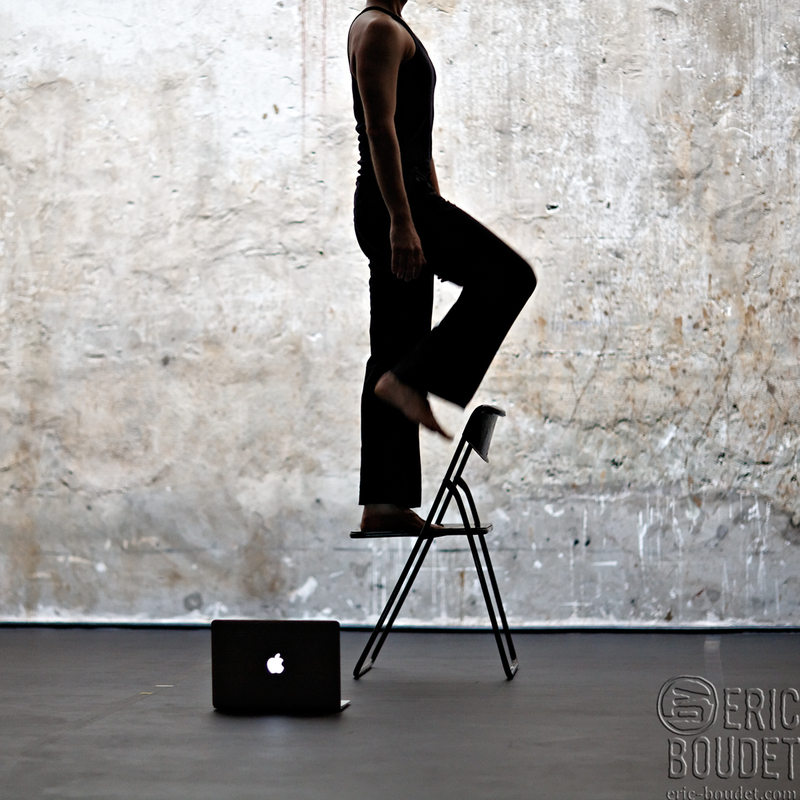 Choreographed and improvised material would occur for 3D capture, and one body would be mapped, while the other would not. So there are partnering sequences happening, but one partner is invisible – so one person is being assisted, lifted, manipulated, partnered, but without the presence of the other person. There is assisted movement, but invisible, so the erasure becomes a presence too: one body is missing, but you can see that another presence is there partnering or interacting with the performer. One person’s presence gets sculpted by the other person’s absence. What missions do you dance to ? Jonah Bokaer : I do think that all movement can be captured, including pedestrian movement in public space, and have made a number of media works that explore this, including a work called A Cure For Surveillance. While developing new choreography, I frequently question (and subvert) the spaces in which my work is performed, creating site-specific installations that playfully critique the venue presenting a dance. This generally involves a visual or sonic intervention in the periphery of each individual venue. I often choreograph with images or objects as much, or as frequently, as with bodies. Parts of the video create movement, too, which the videographer made, but the choreographer did not. How do you feed your work as a choreographer ? Jonah Bokaer : Very recently, I’ve been taking a lot of inspiration from fashion and the way that movement is represented within the fashion world, and the fashion industry. This was a surprise to me – but I’ve learned it can be refreshing to view the ways that an artform, such as dance, circulates within another sphere of production. I also think that the field of dance has historically suffered from lack of funding, in proportion to other areas of the arts. I have enjoyed learning about the fashion industry, and in particular the creative designation of many creators / authors within one company or aesthetic. For dance and choreographic artists, this is something unusual, and incredible. I also believe that large discovery has been made in the areas of photography, set design, and art direction purely within the fashion industry, and I am curious to see if the dance world will incorporate these innovations, and to what degree. Jonah Bokaer : My main goal is to invent new forms within the field of choreography, and really on this topic, I should talk about the dancers I work with. There are about 8 in the core group, and many of them are international artists: CC Chang is originally from Taiwan; Irena Misirlic is originally from Croatia but we mainly work together in Holland; the associate Adam H Weinert is born in New York City but also has an English passport. A Cuban-American dancer named David Rafael Botana is also very involved in the production we just made for Les Hivernales, Avignon this past February. Recently my work has formally involved the American / Scottish dancer James McGinn for some time now, which has led to large discoveries for my work. For many years, my choreography evolved either as solos, or as group works: there are often large differences in the way of composing each. James’ knowledge of my work is very integral, especially at the level of the studio for composition. Creating movement material is by nature a very intense process moment, when it occurs. The fact that there is now dancers who understand this creative process has been transformational. James and I are also very similar in age, which allows for a nice connection between dancer and choreographer. He is an incredible performer, and is able to be present inside the many parts of choreographic output, and he is fluent in each. What do you dance ? Jonah Bokaer : My first experience of movement training was actually not dance—it was yoga. I think this might have influenced my thinking about anatomy, and joint mobility. I later began training in Merce Cunningham’s technique intensively at the age of 15 or 16. There are many differing views of this technique, but what I will say is that it systematically warms up every joint in the body.Still later, I began animating—first in DanceForms 1.0, and later in other 3D animation programs. DanceForms allows for animation of the body through key-framing, and highlighting the body joint-by-joint. Movement is hand-animated in sequence, and placed on a filmic timeline.In animation, joints are named by hierarchy—finger, hand, wrist, forearm, upper arm, shoulder, etc.—and form systems of ascending or descending order, meaning that they radiate out or in from the center. Hemispheres are used to represent each joint visually. Additionally, the pelvis is named as the Root Joint, because it is the connector of the torso and legs. Sometimes I think about joints like letters, because it allows me to think of my body beyond language, which only allows 26. In Avignon for example, I recently danced a show of ours called “Three Cases Of Amnesia.” It is a technology-influenced solo that I animated, choreographed, and performed through the use of digital choreographic software. The movement for the piece has been designed through the use of 3D animation, and pays homage to the historical painting “False Start” by Jasper Johns (1959). This particular work will address the erasure of the moving human body, and the trace of its presence. As with previous two works, I use a solo choreographic practice to address the deconstruction of modernist portraiture, presenting a digital “maquette” which is mimicked by the dancer. 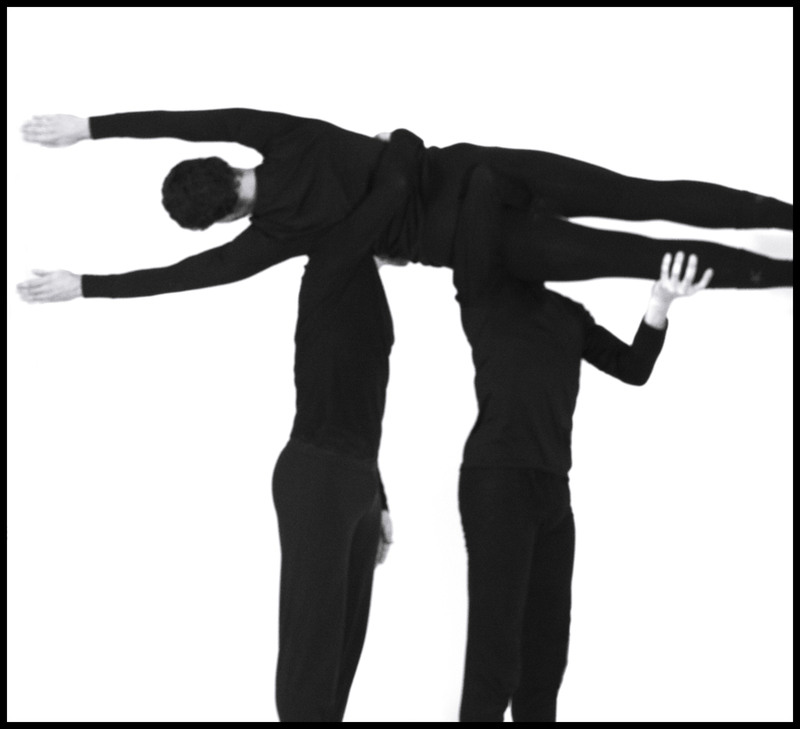 Tell us about your work with Robert Wilson, Merce Cunningham, John Jasperse and David Gordon ? Jonah Bokaer : My work in digital media began through encountering the work of Merce Cunningham. I was actually recruited by his dance company and joined when I was 18. After that time, Merce began developing a series of solos for me using choreography software DanceForms 1.0, which is available through Credo Interactive. This was a big introduction to his process of keyframing, which is a very simple, three-frame production manner of placing movement on a timeline and animating it. He turned to that tool in 1990, I believe, because of his advancing arthritis – so it really is an “extension” in a very practical sense of the word, and how it relates to technology. That set the stage for my appetite and my interest for these tools, and how they relate to dance. There is also repertory of Merce’s that relies heavily on the film/video arts and also motion capture. Also, encountering his piece BIPED from 1999 was a big introduction. At the moment though, I am more informed by my work in choreographing the operas of theater artist Robert Wilson: the use of technical theater in his work is simply unparalleled, and I have been informed by this in the very recent past. I do not think Opera is a next frontier personally, but I have been lucky enough to work on the productions of Robert Wilson, for example, with Charles Gounod’s FAUST commissioned by the National Opera of Poland. The ballet music for Faust, which is one of the longest of any opera, has a long history of being difficult to choreograph; Zachary Solov and Anthony Tudor at the Met Opera, and others, have tried to move it beyond kitsch but are often described as never having succeeded: it’s generally so over the top that the expression ‘like Faust’ has meant to go “all the way.” I believe that Bob’s approach to scenography raised it to a new and surreal level and just might have clinched it. I hope the production will come to NYC, or at least that the documentation is strong, so that others may see it in the United States. What resources do you use today to adapt to your Dance Company ? Jonah Bokaer : These days, I am deeply committed to fostering interdisciplinary dialogue with artists across media. With this in mind, I have established two cooperative studio spaces in NYC (Chez Bushwick, and CPR) in which artists can congregate, develop ideas, and present work in a catalytic environment. I am interested in bringing innovative new work into direct conversation with contemporary thought and culture. That is a fueling motivation behind my efforts with Chez Bushwick. Increasingly, artists in NYC are having to “rewire” the way that they think about how to sustain themselves, and their artwork: Chez Bushwick provides a space for dance artists, but has larger generative power as well. Jonah Boaker : Daniel and I, have been working together for the past 9 years, we have met on stage while we were both engaged with the Merce Cunningham Company, in 2007. Daniel was the youngest stage designer and I was the youngest dancer – at that period in time. Merce left, we both took distinct artistic paths, Daniel started a design/ “sn”architecture studio with his partner Alex Mustonen, and I founded a studio space located in Bushwick, Brooklyn dedicated to the advancement of the performing arts while defined my own choreographic language by exploring outdoor spaces, digital possibilities and new technologies. However Daniel and I have never stopped collaborating since we met. I believe that we will probably never stop collaborating – because we are involved in creating a new language for the stage, which talks about today. Still today, Daniel along with the Galerie Perrotin creates set designs for most of my productions. I am interested in Daniel’s work because of his acuity on architecture, space and volumes, which are recurrent thematic in my work. Jonah Bokaer : In 2016, I will work on major projects. In May 2016, I will premiere Rules Of The Game, it is a project commissioned by the SOLUNA Festival of the Dallas Symphony Orchestra, for its second edition. I will be collaborating on the piece with the visual artist Daniel Arsham for visual artwork, as well as Pharrell Williams, who will compose an original score which will be performed by the Dallas Symphony Orchestra at the Winspear Opera House Dallas – I would like to say that it is a deep honor to steward the first original “Score” by Pharrell Williams, for the media of dance or theatre. This is a true honor. 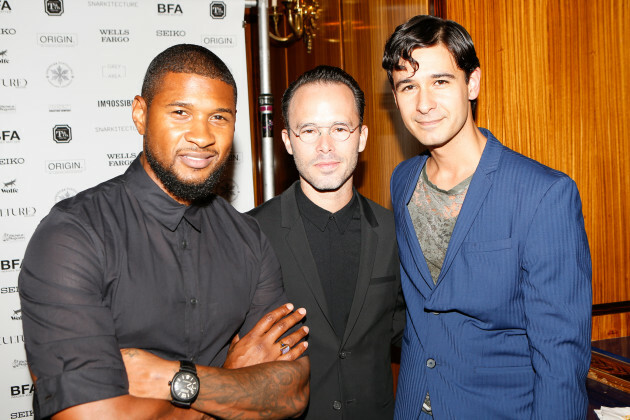 Jonah Bokaer, Usher Raymond, Daniel Arsham at the Chez Bushwick Gala. This production will be performed by eight dancers: Albert Drake, Laura Gutierrez, James Koroni, Callie Lyons, James McGinn, Szabi Pataki, Sara Procopio, and Elisabetta (Betti) Rollo who is my favorite performer of all times, on the Globe: she was the star interpreter of our choreography in La Triennale di Milano, and she performed a choreography for an impressive 50 appearances in the Festival di Spoleto (also with an installation by Daniel Arsham), with “Change Performing Arts”, in the 2014 edition of the Festival, curated by the renowned Achille Bonito de Oliva – in La Rocca Alboronoziana, a historical castle for the Abornoz Cardinas of the 14th century. Rules Of The Game will also tour a bit in the United States, and internationally where most of my work is appreciated. In October 2016, I will premiere a new choreography at the Royal Ballet Flanders in Belgium, commissioned by my dear colleague Sidi Larbi Cherkaoui, an original version “Schéhérazade”, with live music. I am pleased for the opportunity to work directly with 20 dancers, whom are ballet dancers in that company, born in Flanders – but also Azerbaijan, Aremenia, Brazil – again the cross section of humanity in that company seems to naturally embodies the kind of diversity which I’m gratitated towards. This is often too rare in the ballet world, and it incites my passion for diversity, very deeply. It will be an exciting challenge, which I hope to share with the world, through a special “excursion” which the Board of my small foundation in NYC will host, for those who are interested in seeing this new choreography for the Ballet. As I am not strictly working as a choreographer however – I have also been commissioned by the Parrish Art Museum for 120 consecutive days in 2016, to create a singular gesture as the “Platform” artist for 2016, with curator Andrea Grover. From July 9 to October 31 of 2016, my work will be presented in the magnificent architecture of Herzog & de Meuron for the new Parrish Art Museum – and I am very honored. Please stay tuned, for the mischief of a lifetime, taking dance & choreography to the artworld – where it truly lives, in 2016.